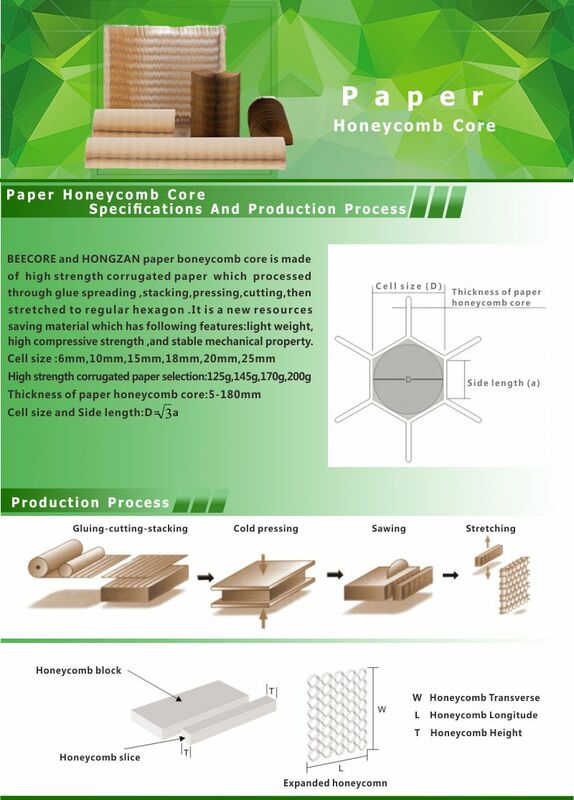 BEECORE paper honeycomb core is made of high strength corrugated paper which processed through glue spreading, stacking, pressing, cutting, then stretched to regular hexagon. it is a new resources saving material which has following features: light weight, high compressive strength, and stable mechanical property. 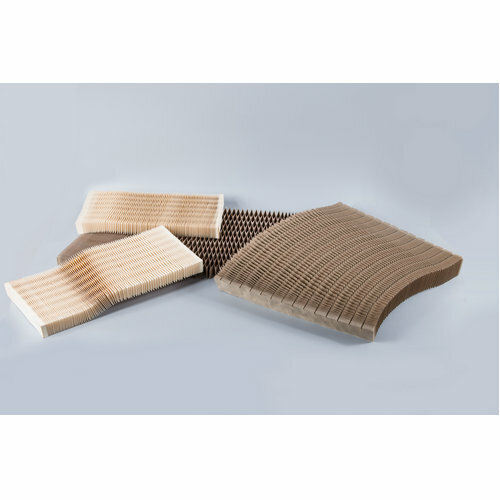 Honeycomb cores are available in a variety of materials for sandwich structures. 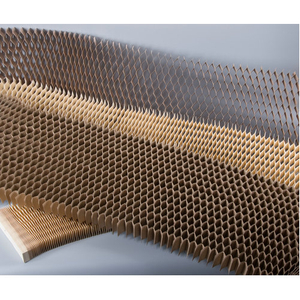 These range from paper and card for low strength and stiffness, low load applications (such as domestic internal doors) to high strength and stiffness, extremely lightweight components for aircraft structures. 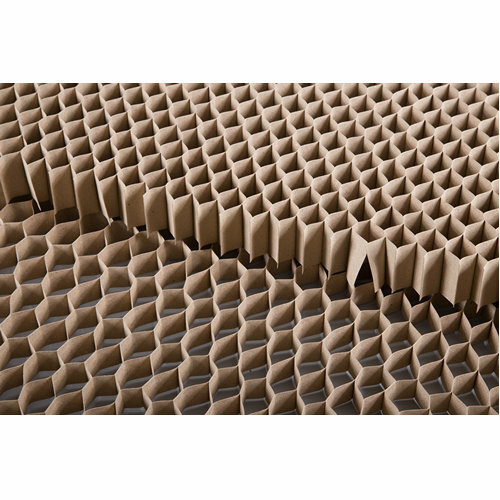 Honeycombs can be processed into both flat and curved composite structures, and can be made to conform to compound curves without excessive mechanical force or heating. Properties of honeycomb materials depend on the size (and therefore frequency) of the cells and the thickness and strength of the web material. Sheets can range from typically 3-50 mm in thickness and panel dimensions are typically 1200 x 2400mm, although it is possible to produce sheets up to 3m x 3m. 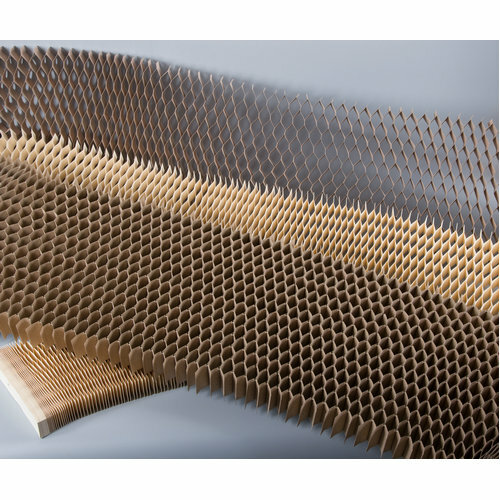 Honeycomb cores can give stiff and very light laminates but due to their very small bonding area they are almost exclusively used with high-performance resin systems such as epoxies so that the necessary adhesion to the laminate skins can be achieved.